BirdLife Australia, Norfolk Island National Park and the local community have joined forces to launch a brand new initiative to save the island’s green parrots. Found nowhere else in the world, the rare Norfolk Island Green Parrot is Critically Endangered and has been on the brink of extinction twice. And if we don’t act now, these birds could be facing extinction for a third time. $77,000 to get a second colony up and running on nearby Phillip Island. The uninhabited outcrop will become home to an “insurance colony” of Norfolk Island green parrots thanks to the efforts of that island’s locals, national park staff, volunteers and assistance from a group of Canberra bird enthusiasts. Mr Hermes, Canberra Ornithological Group’s current President, has an even stronger connection to the program: as the conservator on Norfolk Island for three years in the early 1980s, he teamed up with the local Lions Club and took the first parrots into captivity when “it appeared they were basically doomed”. There is now an increased possibility that the Norfolk Island green parrot, one of the rarest birds in the world, will AVOID extinction following a determined effort to save the species, according to wildlife conservationists. Cats and rats introduced to the island have killed off huge numbers of the parrots, with just 46 of the animals left 12 in 2014! 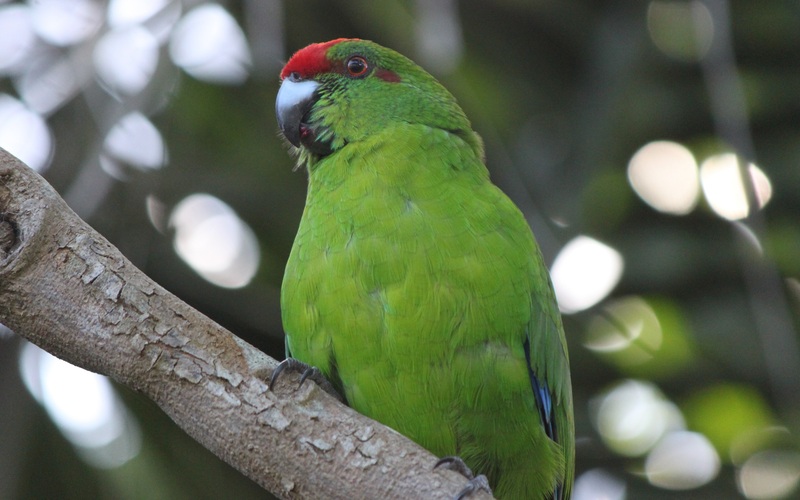 The Norfolk Island green parrot has twice come close to the brink of extinction only to be pulled back by remarkable conservation work in accordance with best-practice models from Massey University researchers. Timing is critical because the Philip Island colony must be established before winter kicks in. BirdLife Australia and the Norfolk Island National Park are aiming to raise $77,000 through a crowdfunding campaign to make this possible. We have two months to transfer 30 fledgling Norfolk Island Green Parrots to nearby Phillip Island. Your support is needed to raise the $77,000 needed to get this done. Will you support us? This is a fragile bird – let’s take this chance! By moving the fledgling birds we’ll be able to provide them with a suitable site as a new home. This must be done between March and May this year when the birds are at the right age. Old enough to survive the relocation but young enough to adapt to the new environment. Park rangers are on standby to do it – but we need your help! Now the numbers are back up to 350-400 parrots. Urgent action saved the Norfolk Island green parrot. Now with your help we can secure its future.